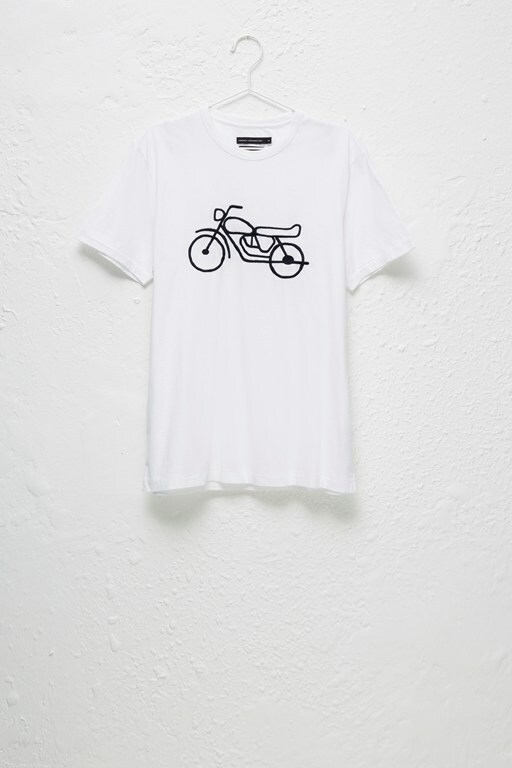 Incorporate slogan t-shirts into your everyday wardrobe with the Motorcycle T-Shirt. The crew neck cotton t-shirt is embroidered with a graphic motorcycle design, adding a quirky edge to the classic style. Worn with jeans and trainers, this is a simple yet eye-catching piece for your collection.